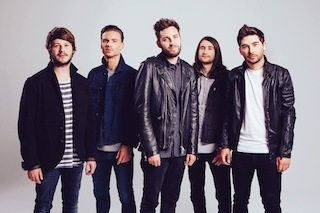 You Me At Six appeared on Detroit's FOX 2 News Morning show today (October 14th) and performed a stripped down version of their new single "Lived A Lie". You can watch the band's performance below. The track is taken from YMA6's upcoming new album Cavalier Youth, which is expected to drop early next year.